These scribblings brought a smile to my face when I saw them back in April. 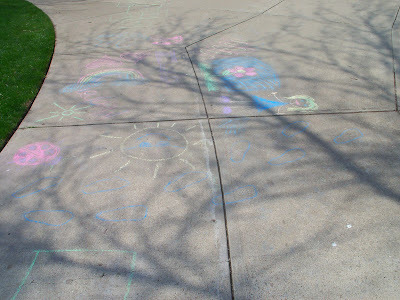 I wished that I could have joined in and done the same thing, but I was 1) without chalk, and 2) without the time to do it. Curse you, Jane Austen screenplay, curse you. WOW. I'm loving this post. 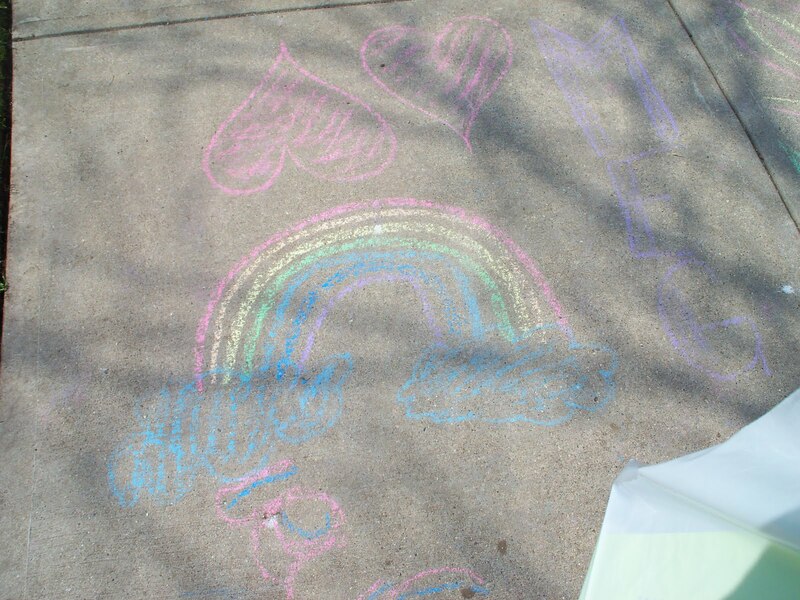 I haven't done chalk in... forever? Basically. This post made me remember goodtimes being a kid. I used to ALWAYS trace myself with the chalk. It was so messy, but also superrr FUN.